Sometimes a life on the road can be hectic, and with this portable and lightweight universal laptop stand; you have yourself a high-quality stand for studios, bedroom DJs, live gigs and sets or presentations, schools and PA. 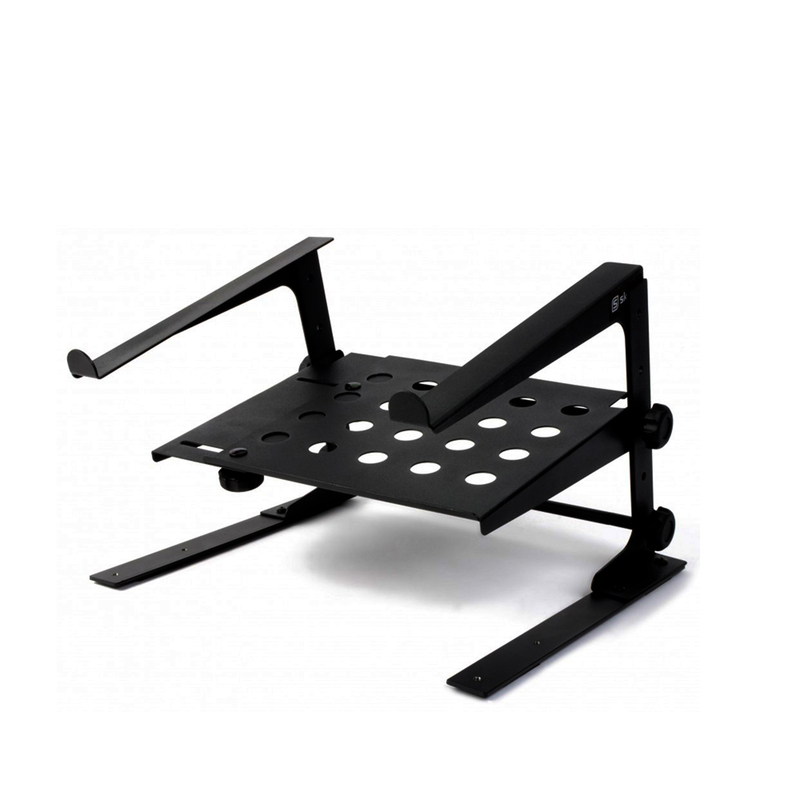 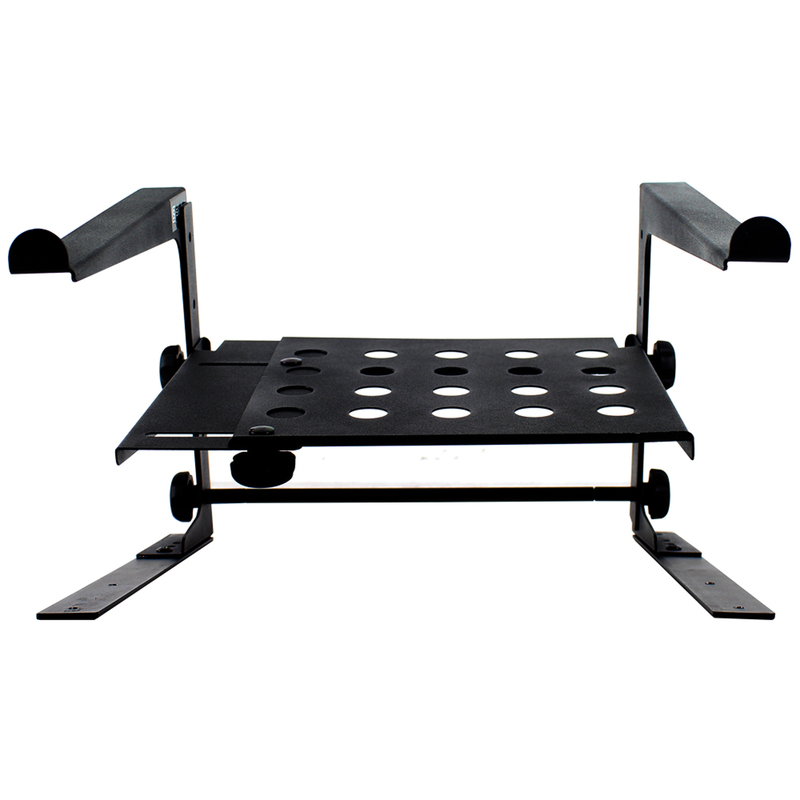 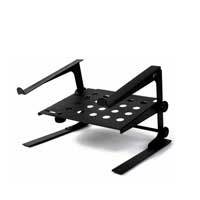 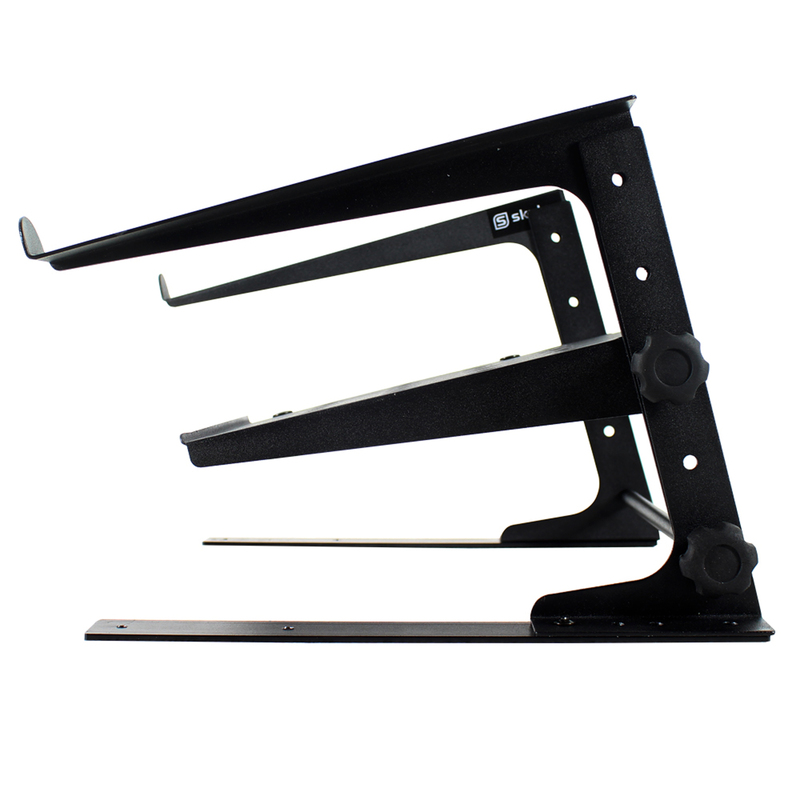 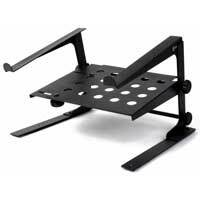 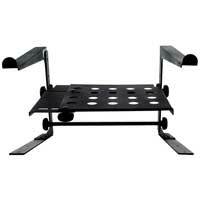 The stand is height and width adjustable to fit most laptops and has a tough metal framework for extra durability. 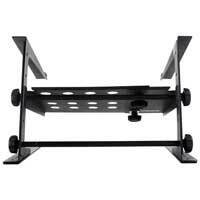 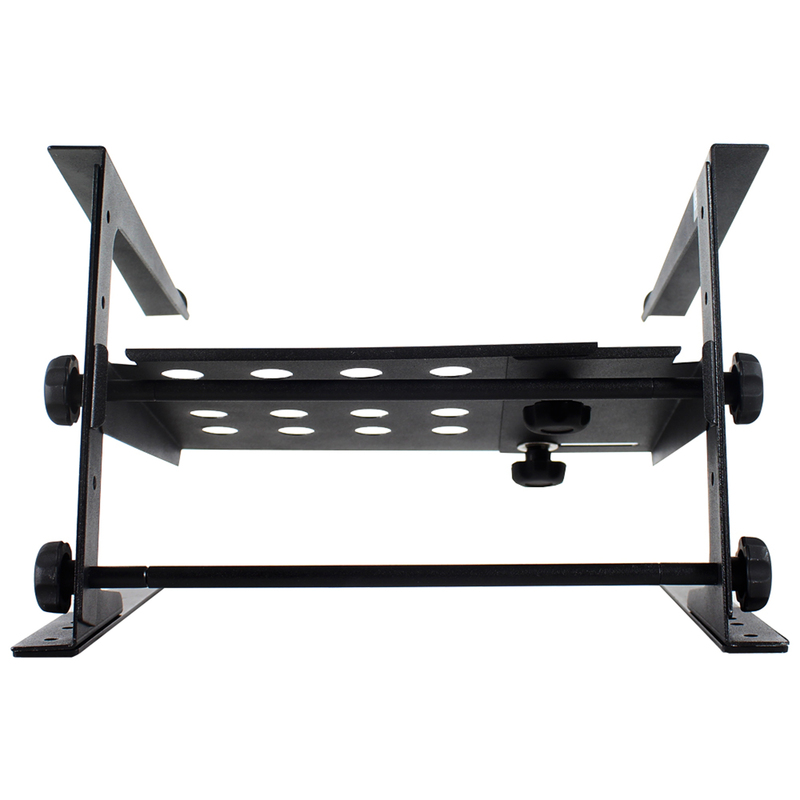 This laptop stand features a lower shelf for storing hard drives, DMX controllers, mixers or any other equipment which will be handy to have in quick arms reach whilst using your laptop. Ideal for the mobile DJ, this compact stand is built to withstand a heavy, on-the-go lifestyle and is a must have addition to any gig or DJ bag.